PFP was out and about in Poughkeepsie and beyond this summer! 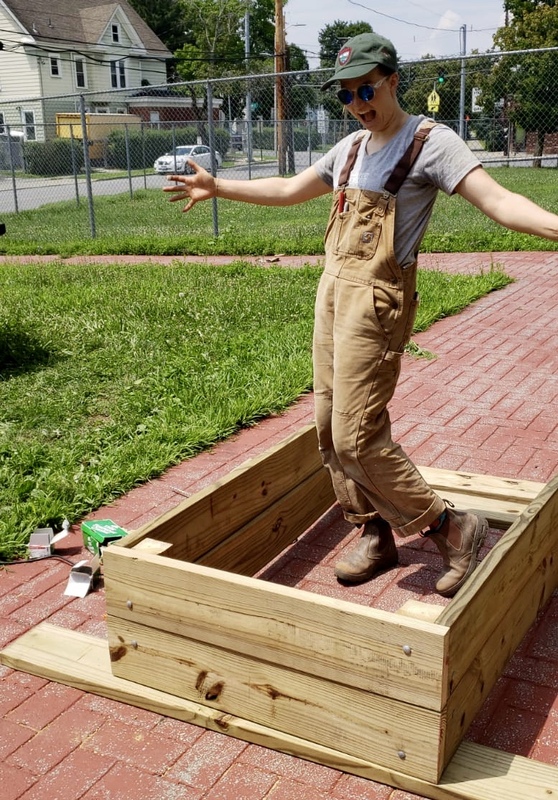 Briggin and Larissa worked with Poughkeepsie teacher Mary Ficht to revitalize the garden at Warring School with new garden beds for more growing space! 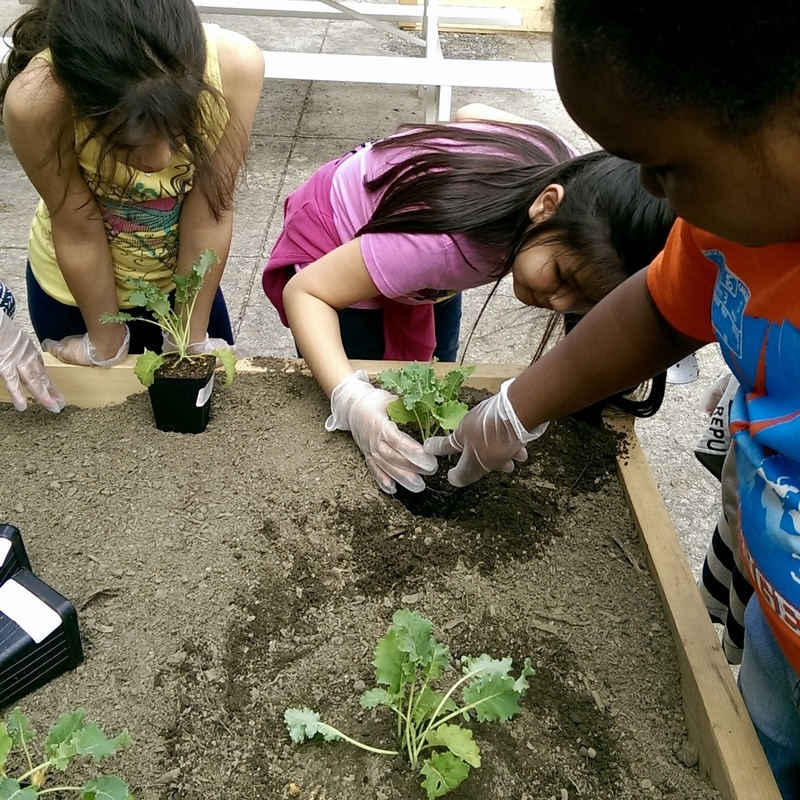 Chris and Jamie lead a family gardening session at Krieger School this summer as part of the Farm Fresh Home Chefs program. Arm-of-the-Sea put on a beautiful and highly educational theatrical production called Dirt: The Secret Life of Soil in the courtyard of the Environmental Cooperative in partnership with PFP. 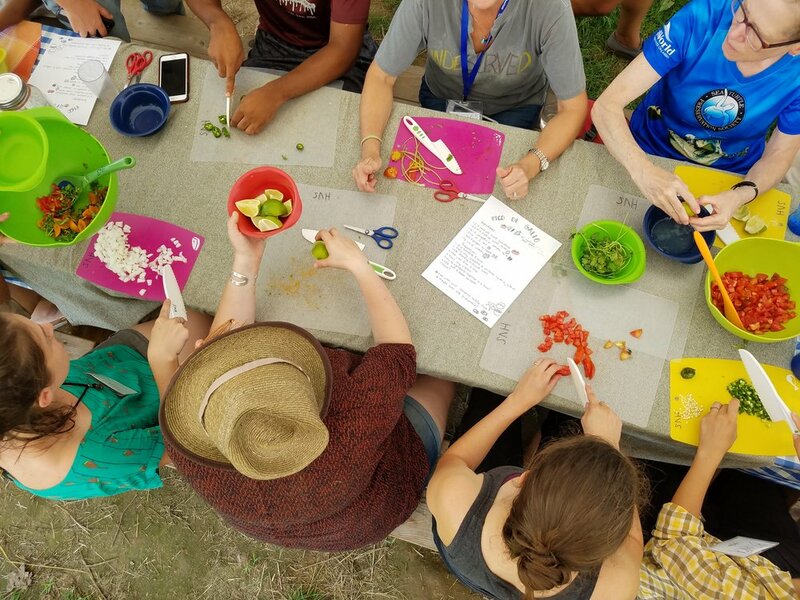 At our annual Summer Institute for Educators: Using Gardens to Build Community, Chris taught participants how to manage large groups in a small garden while cleaning up the garden, planting bean seedlings and carrot seeds, harvesting carrots, and preparing a snack. Serena Padilla from Hudson Valley Seed led the group in a workshop on Food Diversity and Building Community in Educational Gardens. Jesica Clark of Willow Vale Farm taught participants how to build A-frame chalkboards for teaching in the garden. 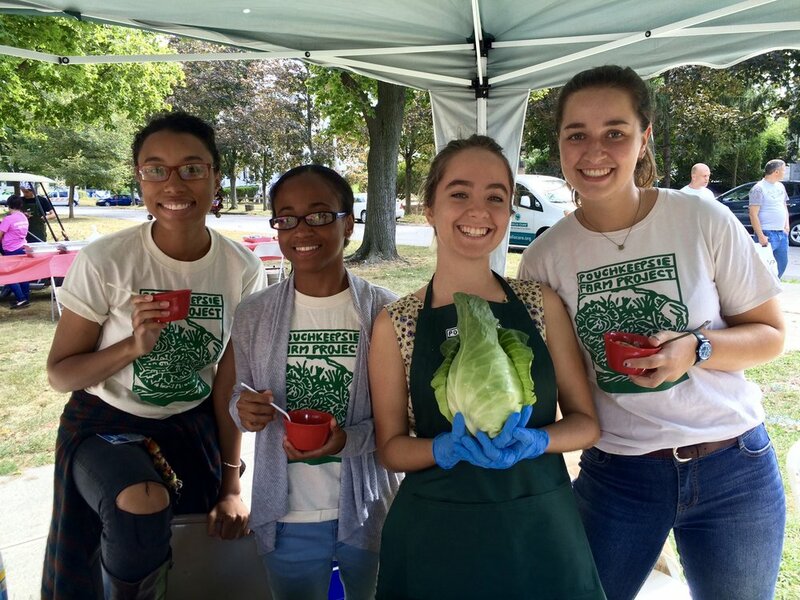 Denise, Ellie and Demier offered tastes of "Peach Surprise" on the first day of school at Morse in conjunction with a visit from the Dutchess Outreach Mobile Market. Briggin and Jamie hung out with fellow educators, KayCee and Susan, at the Community Harvest Party at the Kingston YMCA Farm Project. Kate and Demier offered tastes of roasted squash at Morse School and talked with families about the versatility and variety of squash. Ellie brought our summer education/Green Jobs team to Jesica Clark's Willow Vale Farm in Stanfordville so Demier, Kitana, Savannah, and Isiah could learn how to erect a high tunnel by helping Jes install hers. Would you be willing to eat dirt? Believe it or not, there is a French restaurant in Tokyo, Ne Quittez Pas, where people come and pay large amounts of money to be able to try an entire course featuring this very thing: dirt. The restaurant buys the ingredients from Protoleaf, a company that makes organic compost using coconut husks imported from Sri Lanka and India. (1) According to those bold individuals who have tried this dish, it is actually quite delicious. Surprisingly, eating dirt, known as geophagia, has been around for centuries, and some experts say that it may actually boost your immune system. This may be linked to why babies spend the first year of their life putting things in their mouths. (5) Dr. Joel V. Weinstock, the director of gastroenterology and hepatology at Tufts Medical Center in Boston, said in an interview that the immune system at birth “is like an unprogrammed computer. 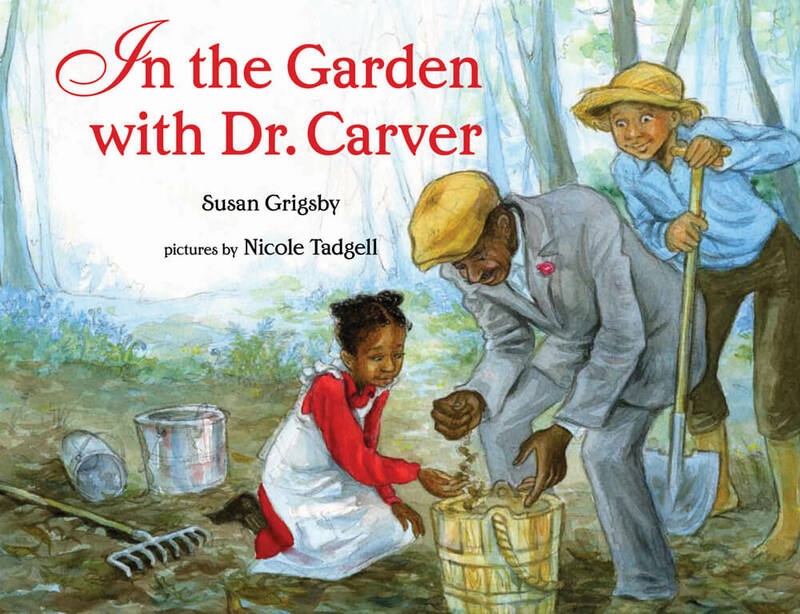 It needs instruction.” (2) Soil is naturally teeming with trillions of microorganisms that research is discovering may successfully treat things like allergies, bacterial infections, asthma and other autoimmune diseases. Findings show that soil-based organisms can nourish cells in the colon and liver, create new compounds, antioxidants and enzymes, destroy harmful pathogens and kill off bad bacteria. At Poughkeepsie Farm Project, it is clear that so much attention is paid to the soil. A fertile and healthy soil is the basis for healthy plants, and whether it be through cover cropping, crop rotation, compost, organic fertilizer, or reduced tillage, our farmers cherish and cultivate the huge diversity of life in the ground. See Patrick’s awesome article on the subject for further emphasis on the topic. 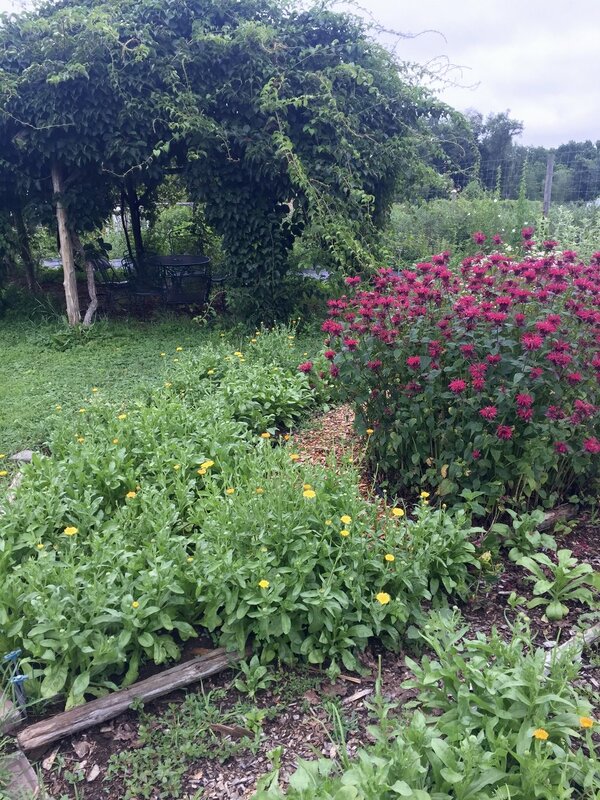 Though we wouldn’t necessarily recommend chewing on handfuls of dirt from your backyard(3) we certainly encourage eating food straight from the ground at PFP. Learning of a restaurant serving “pure dirt” on a menu raises some very interesting questions though. What do we consider food? 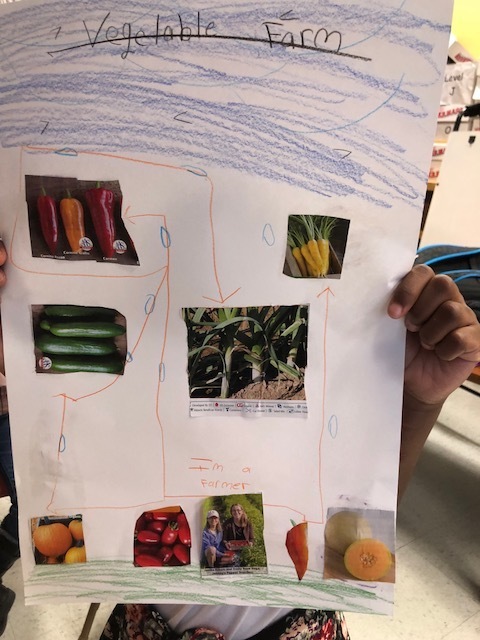 What is edible and inedible? 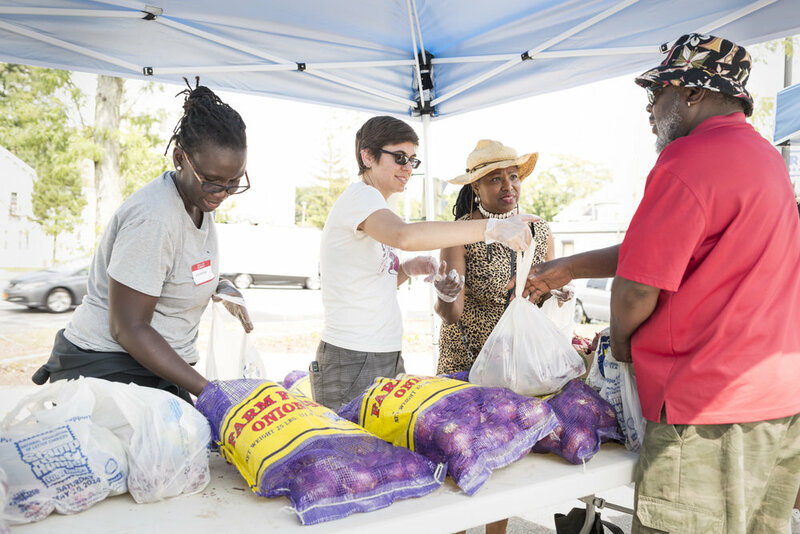 Movements like the “ugly food movement” are also aligning with our health and our planet’s health and changing the mentalities on what we should consider food. So much food is wasted whether it is in the process of growing, harvesting, transporting, buying, cooking or eating. Using foods that may not necessarily look “pretty” and salvaging parts of the food that are still healthy are two simple things ugly-fooders promote that can help reduce waste. Whether it is eating dirt, “trash” or ugly food, it is important to take a moment to realize how we look at food and how we may be categorizing based on appearance. Like humans, food comes in all shapes and sizes, and, by broadening our horizons, we can start to make changes that can help us and our environment become healthier.